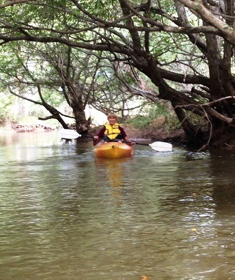 Enjoy a great loop paddling trail just minutes from Tyler and Athens - no shuttle needed! With up to 8 miles of paddling possible, this trail is a great way to explore the Upper Neches. NOTE: This is an out and back paddle trail with put-in and take-out at the same location. From Athens: Travel east from Hwy 175 on SH31 for 23.2 miles to Neches River Bridge (River Park, north side). From Tyler: Travel west on SH31 from Loop 323 for 6.9 miles to Neches River Bridge (River Park, north side). From I-20: Head south on Toll 49 for 9.9 miles to Hwy 31 and then west on SH 31 for 2.1 miles to Neches River bridge (River Park, north side). Float Times: This loop trail can be completed in 1-4 hours, depending on water levels, flow rates, and turnaround point for your loop (see map; dependent on water levels, flow rate, and wind). A variety of water types including quiet pools and several small forks off the river are present. Along with the Hwy 31 Bridge, there is also a railroad trestle on the south section of the paddle trail to navigate under. There may also be snags to avoid, especially when water levels are high or low. 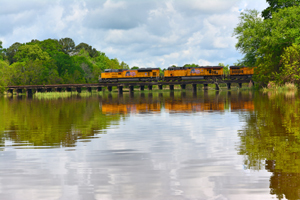 The Neches River is a natural river that is unrestrained by flood control dams or other manmade structures. As such, the Neches River is readily influenced by rainfall runoff that may create temporary high flows and undesirable water quality conditions. Heavy rains and high water can create dangerous conditions so caution is advised. Various waterfowl inhabit this area and during the cooler season, it becomes home to many migratory species. The Tyler Audubon Society has counted over 100 species of birds that frequent the area. Bald eagles can often be seen soaring in the skies and deer are prolific in the area and can be seen on the shores. Located at the western entrance to the city of Chandler on Hwy 31 on the Upper Neches River this 3.17-acre park is famous for white bass fishing in the spring. It features a boat ramp on the south side of Hwy 31 and a kayak and canoe launch on the north side of the highway. There is also a 1.32-mile nature walk, covered picnic areas, a parking lot on both the north and south side of Hwy 31, sidewalks, kayak and canoe rentals and a near-by bait and tackle store. The north end of Lake Palestine, known for great fishing, is easily accessible from River Park. Call (903)849-6853 or visit us online at www.chandlertx.com for more information. 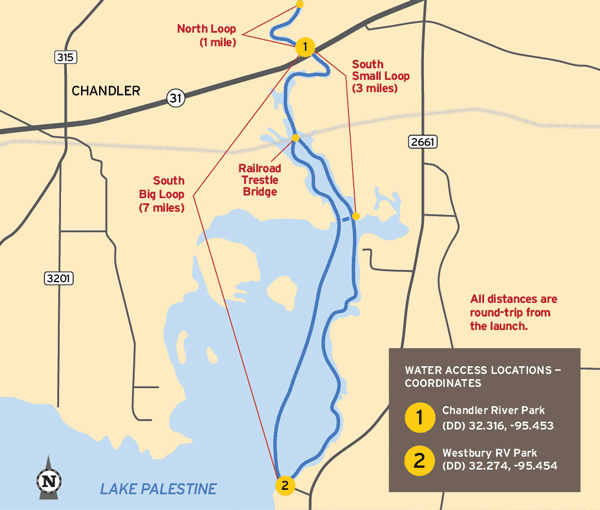 Located just south of Chandler's city limits, this 18 mile long (25,560 acre) reservoir offers outstanding recreation and outdoor activities for everyone including fishing, boating, water skiing, kayaking, camping, RVing, hunting and more. 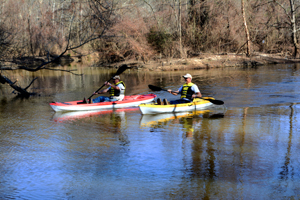 The Chandler Upper Neches Paddling Trail is also accessible from Lake Palestine. Visit www.lakepalestinetexas.com for more information. Located at the western entrance to Chandler on Hwy 31 West in McCain Park, the beautifully restored former home of Senator Ralph Yarborough serves as a museum which houses Chandler historical memorabilia and a visitor's center. The grounds are beautifully landscaped with a rose and heritage gardens. The site is also home to several historical markers. Located at 604 S Broad St, Winchester Park features five baseball fields, concession stand, a nine-lane horseshoe court, a two acre fishing pond, a basketball court and walking trails throughout the park. The Grand Pavilion, a 5,800 sq ft multi-use facility with handicap accessible restrooms is available for private use along with the smaller Pocket Pavilion. The Chandler Pow Wow is also held at Winchester Park each year in the fall. Call 903-849-6853 or visit us online at www.chandlertx.com for more information. Located less than 10 miles to the east, the charming brick streets lead visitors to an array of family attractions, quaint antique shops and unique specialty stores. Outdoor buffs can enjoy the beautiful lakes, challenging golf courses, fishing and more. Tyler's exciting Broadway and ballet performances, symphony concerts, world-class art museums and wonderful cuisine are sure to please any palate. Children of all ages love the Caldwell Zoo, the Discovery Science Place and Hudnall Planetarium. Special events through the year include the Texas Rose Festival, Azalea & Spring Flower Trail, Festival on the Square and Movies Under the Stars in Bergfeld Park. Visit www.tylertexas.com for more information. This trail was made possible through a partnership between Texas Parks and Wildlife Department and the official trail sponsor, the City of Chandler, as well as the following organizations: East Texas Woods & Waters Foundation, Upper Neches Municipal River Authority, Texas Department of Transportation, and Henderson County. 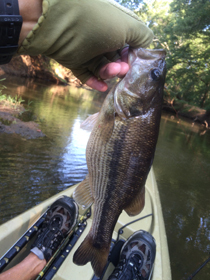 Services offered: Kayak and canoe rentals, live bait, fishing tackle. They also have a kiosk at River Park and offer rentals and concessions during certain times and days. If they are not at the park, rentals are always available during regular business hours at their store.